Ideally suited to those applications involving extended focus or Z-stacking, the ES10ZE offers a low cost, compact, yet powerful system to automate a microscope focusing mechanism. 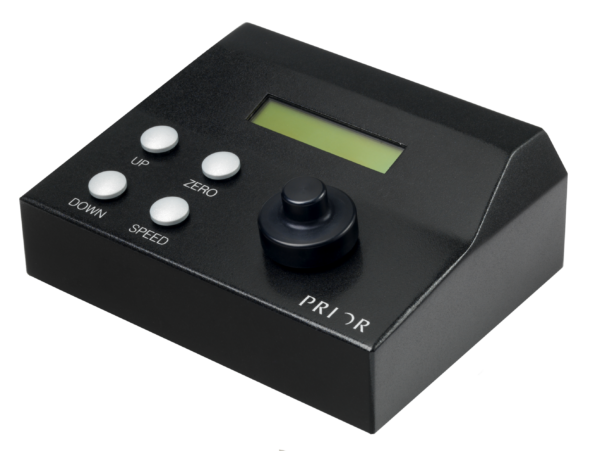 The controller provides a clear display showing the current position at all times while separate controls are provided for rapid movement up or down along with the facility to change the speed of the focus movement. A manual focus knob is also provided for manual fine focusing and ease of operation. The system can be used on many different microscopes including inverted and upright compound microscopes plus stereomicroscopes. For the most demanding applications the ES10ZE will also support encoders ensuring the very best in terms of precision and accuracy. • User interface: Large digipot knob for manual control. Compatible with: H122 or H122E Focus Motors.